We are taught about our five senses from childhood: sight, smell, taste, touch, and hearing. Even from a young age, we know to “use our senses” to investigate the world around us. But these senses do more than just identify the world we live in, right? They must serve more functions than just being questions on a kindergarten worksheet or a short on a children’s TV show. Beyond our perception, our senses play an integral role in our emotional processing, learning, and interpretation. During various elements of emoting, our sensory cortices can be activated at different levels. In this blog series, I will explore how our different senses relate to our emotions (psychologically and neurologically). This specific blog post will examine how our senses relate to our emotional reactions, learning, and perception on a more general level. Feeling happy yet? That’s a conceptual association! Put simply, our emotional reactions can be guided by sensory information. Just because something looks gross, we may instinctively not like it. Thomson et. al (2010) defines this as a “conceptual association.” In other words, what we sense triggers a feeling. For me, coffee is linked with a sense of energy, positive feelings, and it being essentially a hug in a cup. 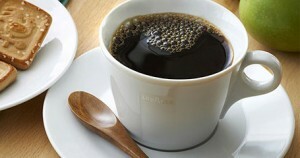 These associations can be activated from me seeing a cup of coffee, smelling it, hearing a coffee maker, or tasting it. (Not so much by touch, I don’t really like sticking my hand in a cup of hot liquid!) Thomson et. al (2010) studied what emotional words were chosen to describe various chocolates. It was found that we associate different emotional words with different sensory qualities. Levels of bitterness, sweetness, creaminess, and even color impacted the participant’s emotional interpretation of what was all just chocolate. Deeper down, our sensory brain areas are involved with emotion too. Our emotions and sensory cortices can impact one another in both directions. A review by Vuilleumier (2005) explained that emotions provide a boost to our sensory cortices. Neuroimaging showed that in response emotional, our sensory cortices have increased activation. Vuilleumier (2005) hypothesized that this is due to learning from the sensory characteristics of emotional situations. Think about if you heard a fire alarm or smelled smoke. These sensory cues mean it’s time to run (or walk safely to your nearest exit)! Similar findings were present in the research of fear memory. Using fear conditioning, Sacco and Sacchetti (2010) found that sensory cortices affect emotional memory. Rats were trained to associate visual, auditory, or olfactory cues with an aversive stimulus. When the respective secondary cortex was lesioned, the cues that were previously learned were lost. This means that there is some storage in the secondary sensory cortices when it comes to emotional memory. Unless the ethical standards of human research change – and let’s hope they don’t – these findings can’t be replicated in humans. More research, perhaps with preexisting lesions or artificial ones from methods like TMS, would need to be done to see if we can generalize these findings. As stated throughout this blog, our emotions and senses are very tightly intertwined. What we hear, see, taste, smell, and touch can provide us with information on how to feel. In the other direction, what we feel can be heavily influenced by what our senses are taking in. The next time you feel happy; know that something you’re sensing may have an impact in that euphoria. In the next blog, we’ll dive into how vision plays a role in our emotions. This entry was posted in Uncategorized by Rebecca Rago. Bookmark the permalink. In future postings, are you going to go into the relation between the senses and emotional memory? I think there are some really fascinating effects. I am planning to structure each blog post around a specific sense or two and see how it plays into emotion. I will probably touch upon emotional memory throughout (like I did with fear memory in this blog), but there won’t be an entire blog post dedicated to it. I agree though, it’s really interesting! Based on your description, the Sacco and Sacchetti work showed in a rat model that secondary cortex is necessary for the CS+ to continue to produce the US. This dovetails nicely with the Apergis-Schoute, Schiller, LeDoux, and Phelps (2014) paper we read in class. In that paper, activation of human auditory association cortex (secondary cortex for sense of hearing) was greater in response to the CS+ than the CS- during recall of extinction whereas there was no difference in activation of primary auditory cortex. So, secondary cortex may be a storage site for the ability to recall that stimuli both should *and* shouldn’t make us respond emotionally (at least when it comes to a state one might call “fear”). You refer to a Figure 1– did you mean to show that or just refer the audience to Figure 1 in the published article? Yes, exactly. It seems very important for remembering emotional responses to past learned events. It’s very interesting that the secondary cortices seem to be so heavily involved in storage in comparison to the primary ones. That is a mistake on my end, sorry! I meant to include it, but I decided that I liked the way it looked better without it. The blog text has been fixed to reflect that.